"Always Jakara this and that, what are you even doing?" "Is Jakara some sort of cult?" All of these comments and we could probably think of half a dozen more that would use inappropriate language on a blog like this are what we all commonly face. Sevadars often know their path is lonely and not always met with the enthusiasm from their parents. Even ridicule from friends and siblings are commonly expressed. We all face it, but we remain inspired by the seva, sangat, and the cause. The Guru's lalkaar (challenge) to us stirs us from our lethargy. Find a sangat that understands and supports you. Also be proactive - don't just disappear to do seva, tell your parents about it! 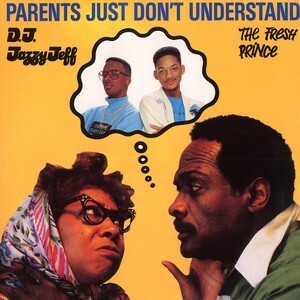 In the meantime, enjoy a similar angst by the very young DJ Jazzy Jeff and the Fresh Prince.